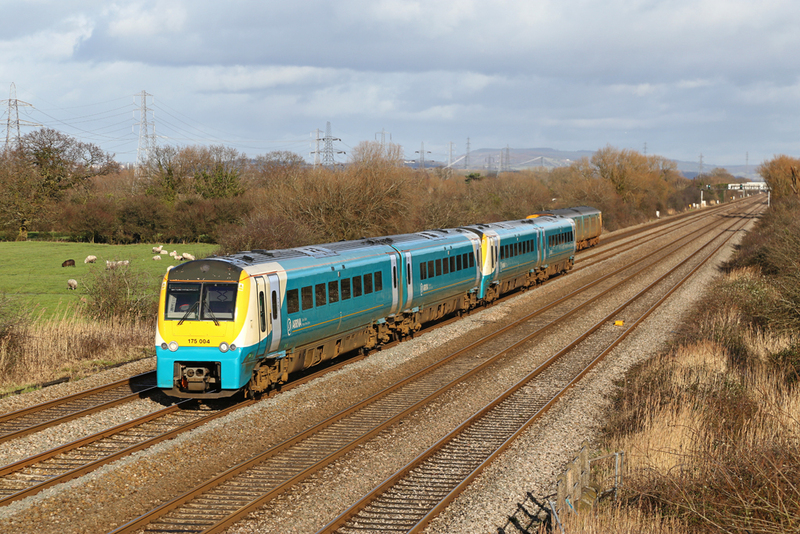 The South Wales Mainline can still offer some interesting traffic flows during a weekend period. 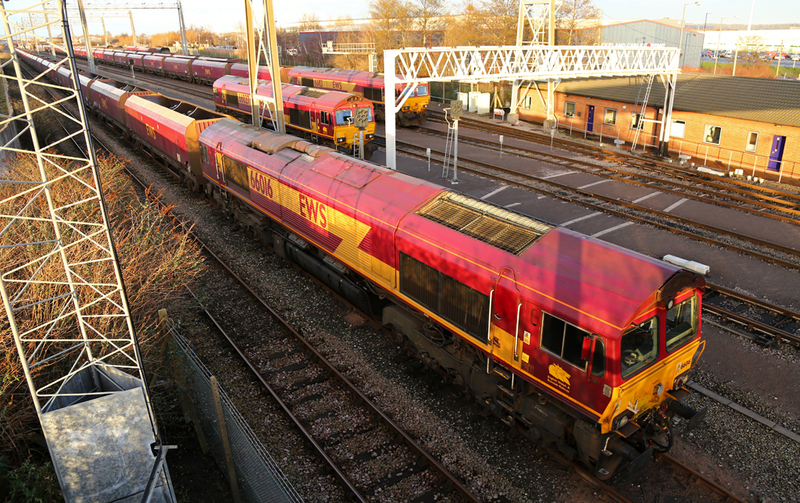 Although rail traffic has dropped off over the years, the introduction of online technology such as Real Time Trains does as least allow an element of 'planning' to which trains are likely to be passing the area. 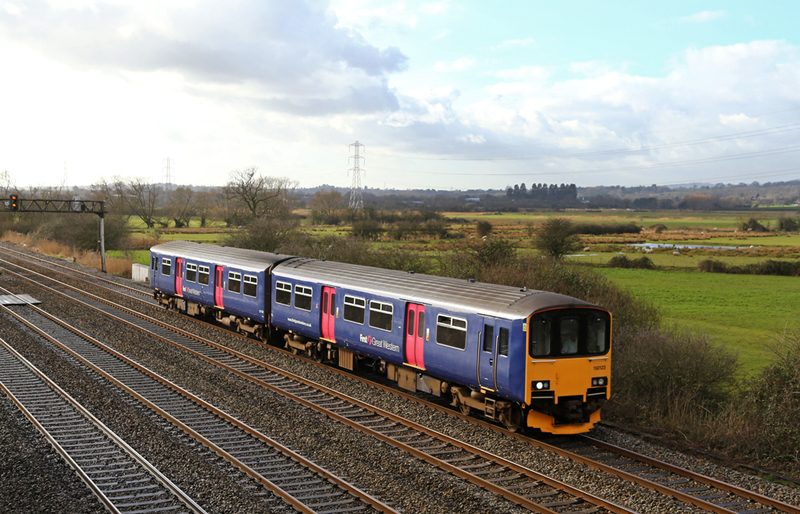 Passenger services were also reduced during our visit following the closure of the mainline between Lydney and Gloucester by Network Rail. 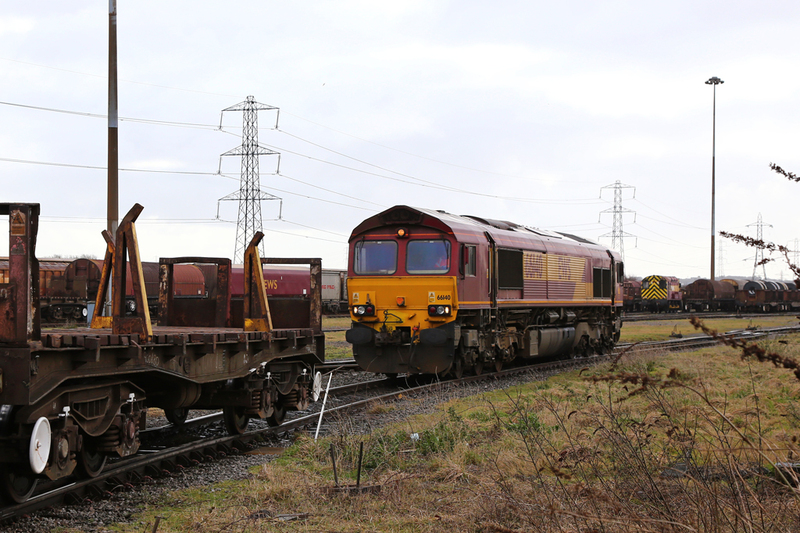 This was to repair the track after a recent derailment. On the 15th February we made a visit to the area to photograph some of the current workings which are possible to record. We first visited Bishton (near Magor), continuing to Margam Yard/ Port Talbot Steelworks, and then back to Coed Kernow, finishing the trip back at Pilning on the English side of the Severn Tunnel. After another overnight winter storm had rolled through the weather gradually improved during the day, with sunny periods in-between squalid heavy downpours remaining, by the end of the day the skies had cleared to give a brief respite to those who's been suffering with the terrible flooding. Foster Yeoman Class 59/0 No.59004 passes Bishton hauling the 6B80 06:57 Westbury - Machen stone train, formed of Hanson Aggregates JHA hoppers. 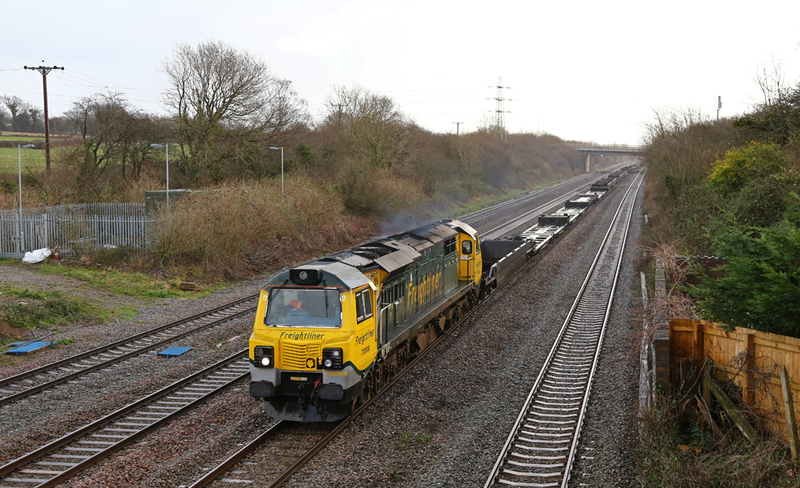 Freightliner Heavy Haul Class 66/9 No.66956 powers through Bishton with the loaded 6M64 08:15 Stoke Gifford - Fiddlers Ferry coal. 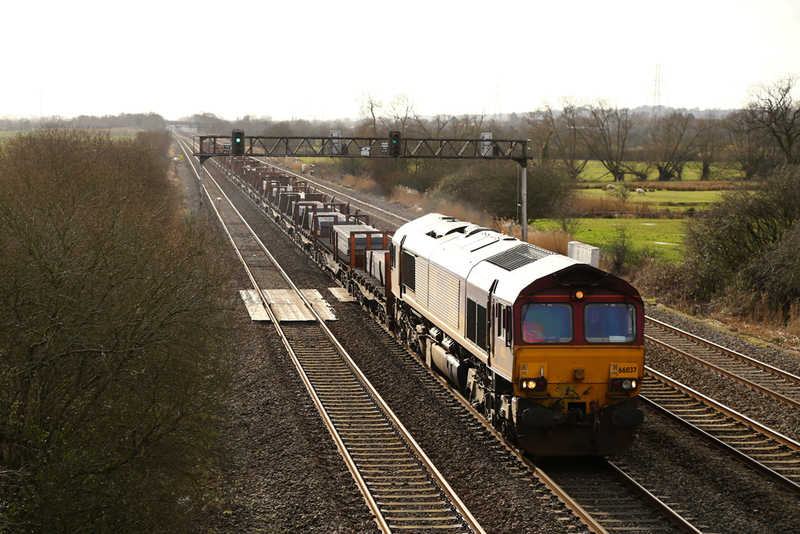 Freightliner Class 70 No.70008 makes light work of the 6V40 Millbrook - Wentloog liner service, with not a single container located on the train. 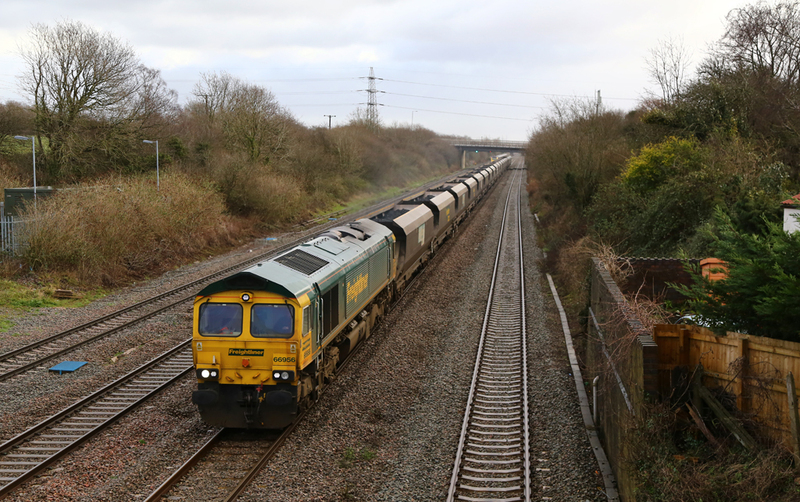 With Network Rail having closed the line between Lydney and Gloucester for engineering work, the 6B13 Roberston - Westerleigh fuel train was formed in Top and Tail formation to allow it to operate via the Severn Tunnel & Bristol Parkway to allow it to reverse into Westerleigh Oil Terminal. The train was formed of Class 60 No.60059 'Swinden Dalesman' and N.o60039. 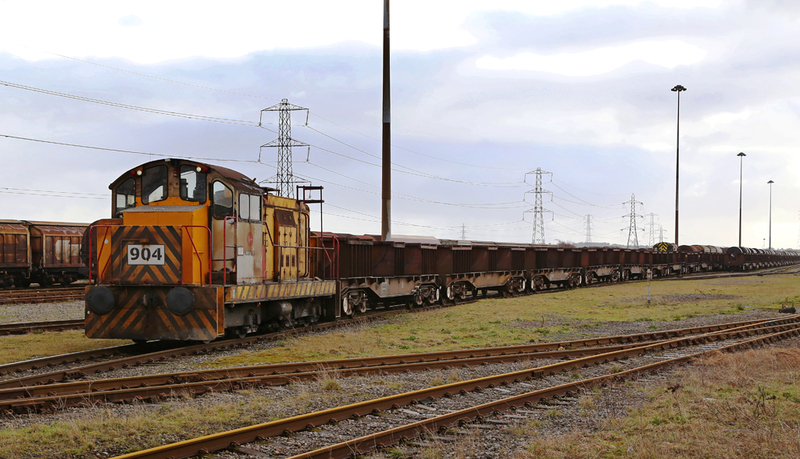 EWS liveried Class 66/0 No.66037 leads a rake of empty steel wagons into Port Talbot Steelworks from Margam Knuckle Yard. 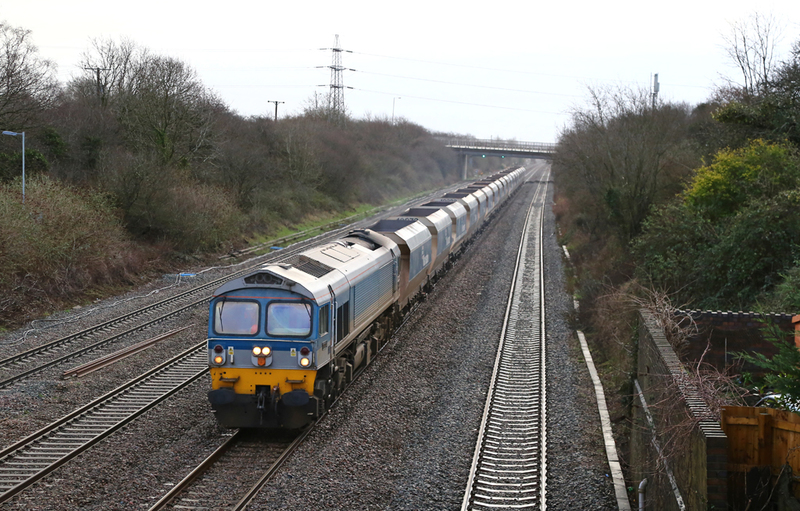 The loco later formed the 6H27 loaded steel slab to Llanwern. 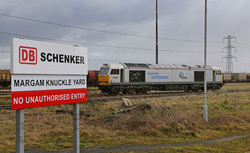 Shunters from the TATA Steelworks (formerly Corus) at Port Talbot regularly trip wagons from the steelworks into (and out of) Margam Knuckle Yard, working alongside DB Schenker's own locomotives. 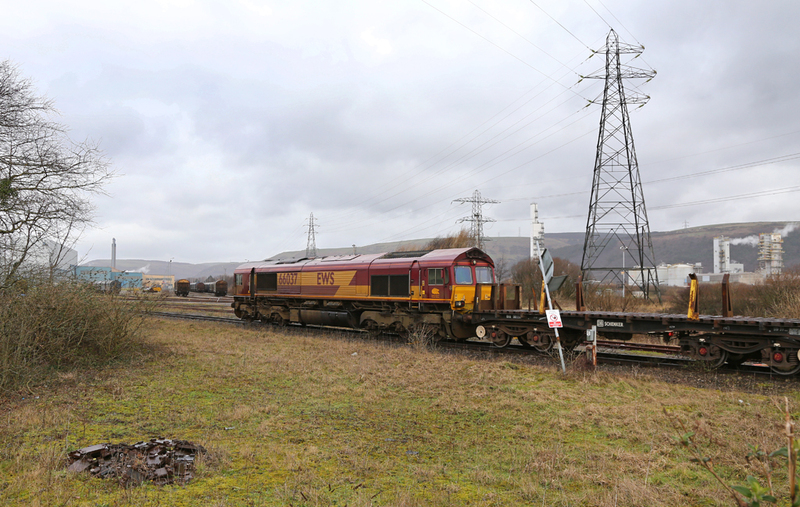 All images taken at Margam were from a public footpath which crosses the South Wales mainline and associated yard lines at the west end of Margam Yard. 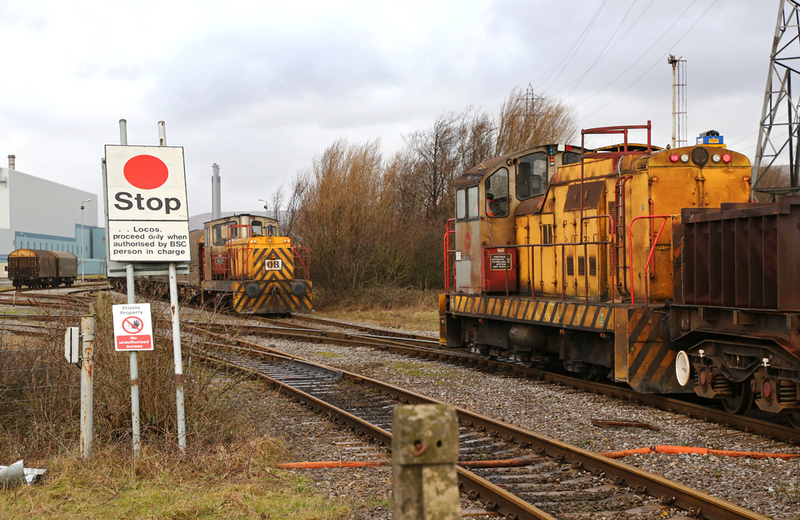 Shunters No.904 and No.08 were in action during our visit. 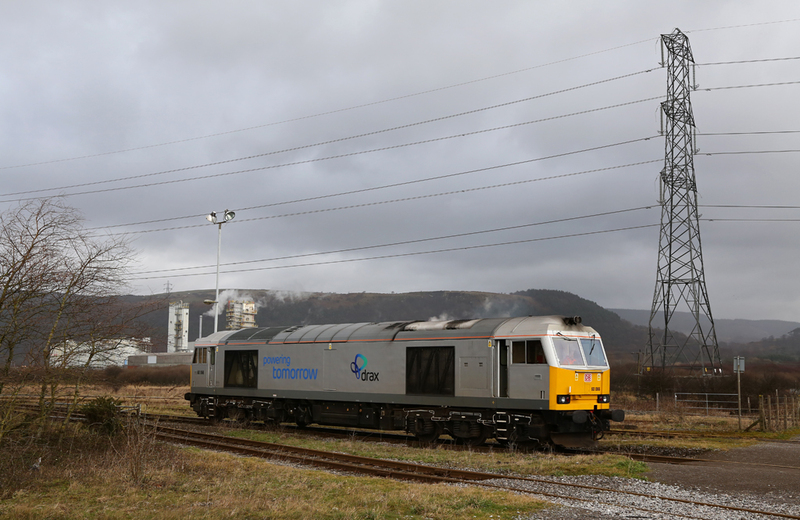 Recently refurbished and repainted Class 60 No.60066 was also stabled at Margam. 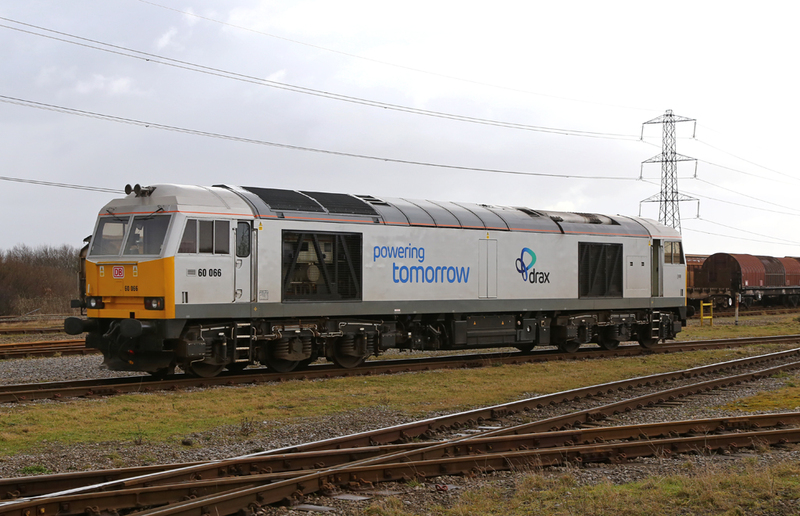 The loco has been out-shopped in Drax Biomass livery, but has spent little time working trains for Drax or Biomass. The loco was initially out of reach for photography, but had been allocated to work a local steel coil train to Trostre. 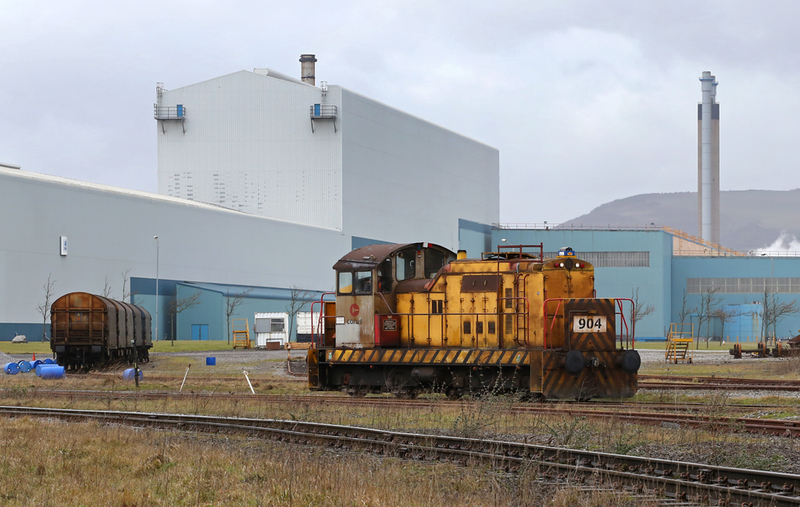 It's pictured here shunting onto its train in Margam Knuckle Yard. 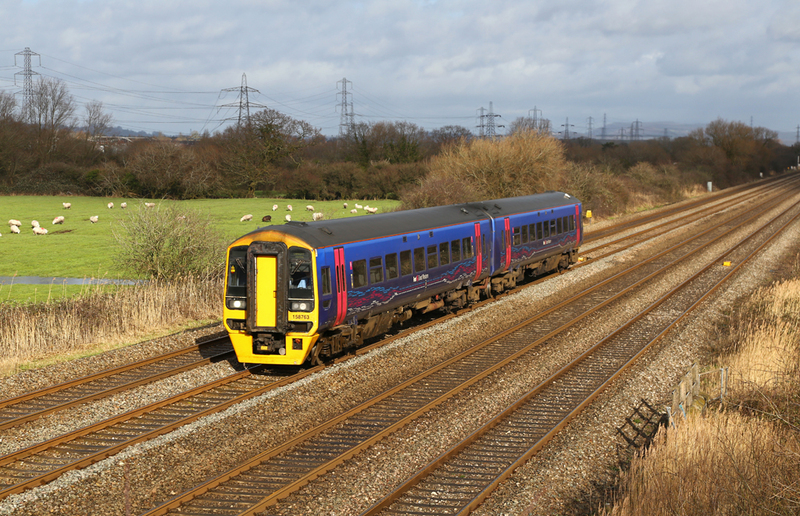 First Great Western were operating a limited service through Wales because of the recent rail disruption caused by the winter storms. Although this picture probably paints more of scene of tranquility, the winter storms of 2014 have caused havoc in the South West. No.43030 leads No.43056 west through Coedkernew with a Paddington - Cardiff service. 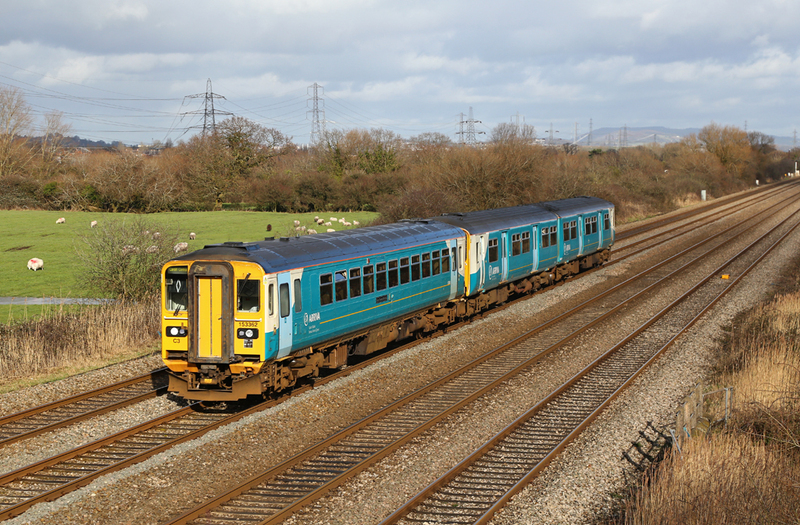 Arriva Trains Wales Class 153 No.153362 leads a 153/150 combo west at Coedkernew with a Ebbw Vale - Cardiff service. 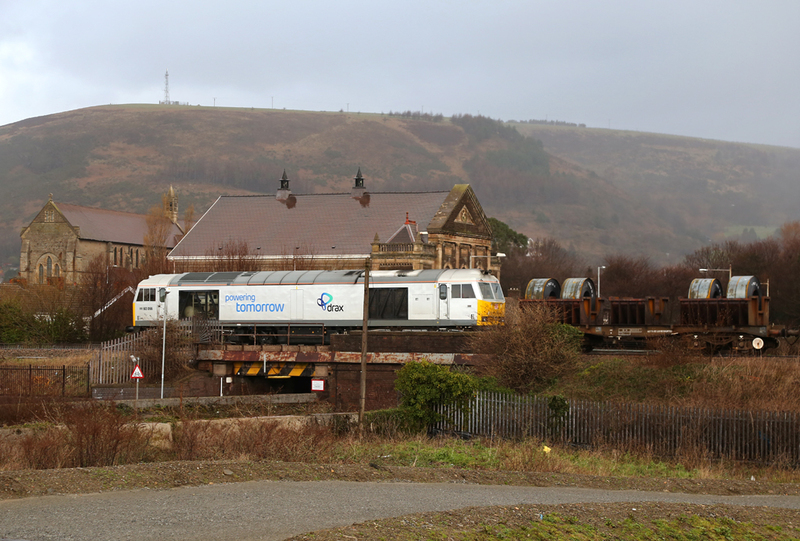 A pair of Class 175/0's pass Coedkernew with a Shrewsbury - Cardiff service No.175004 is pictured leading the service. First Great Western Class 158 No.158763 passes Coedkernew with a Portsmouth - Cardiff service. 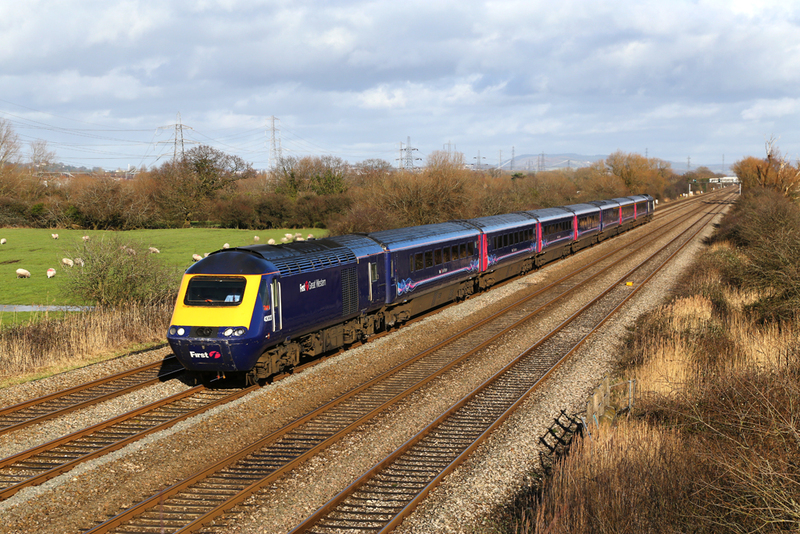 First Great Western Class 150 No.150123 passes through Coedkernew with a Cardiff Central - Bridgwater service. Trains were only operating to Bridgwater at this time because the line between there and Taunton was flooded by the Somerset Levels. 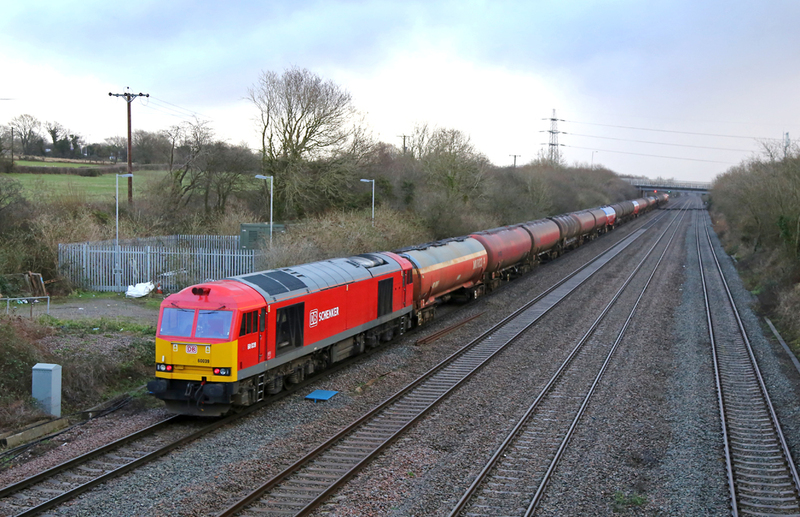 DB Schenker Class 60 No.60001 rumbles through Coedkernew with the 6B33 Theale - Roberston empty fuel tanks. 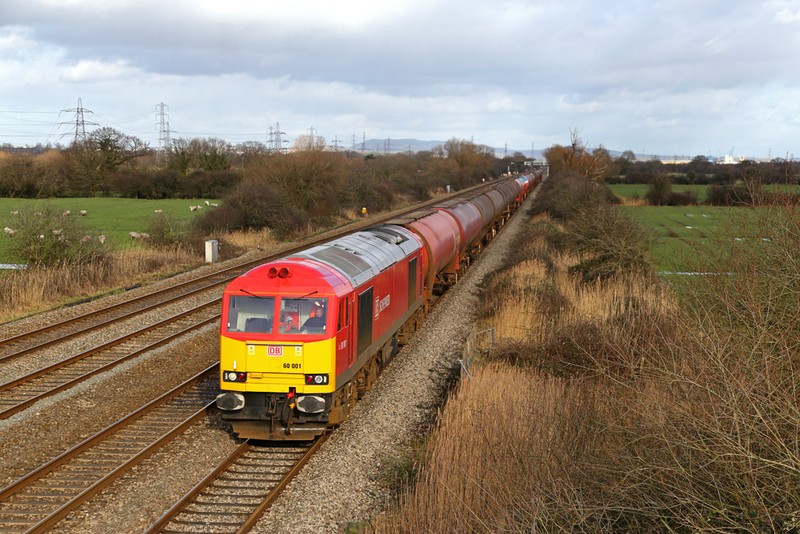 EWS liveried Class 66 No.66037 passes through Coedkernew with loaded steel slab working the 6H27 13:52 Margam - Llanwern for processing. 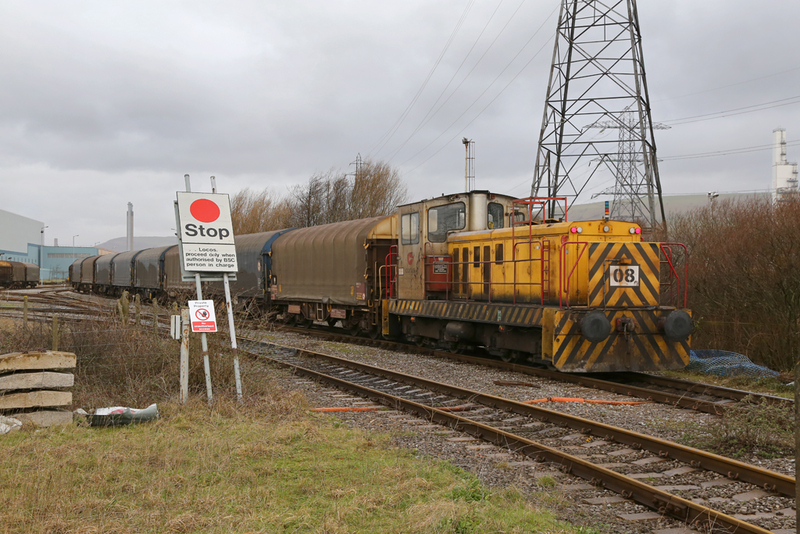 There was much debate about where to capture this service due to continued early and late running, we eventually headed for the cutting at Pilning just before the train enters the Severn Tunnel. 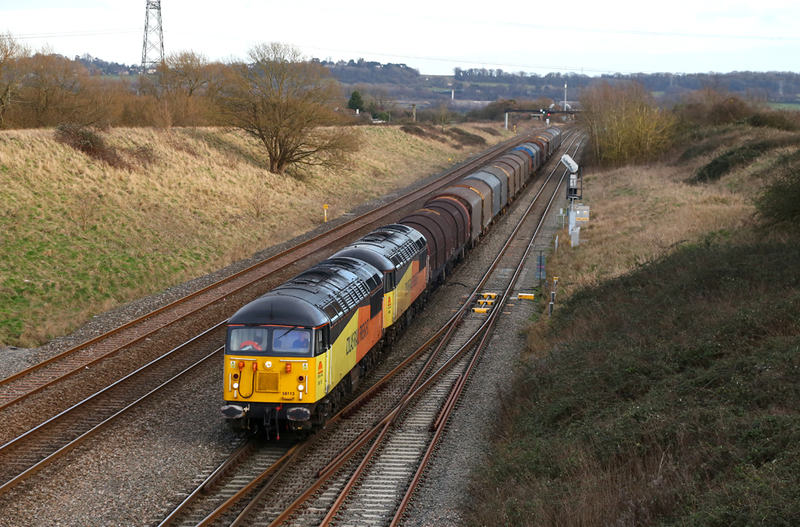 Colas Rail Freight Class 56 No.56113 leads No.56094 westbound at Pilning hauling the 6V62 Tilbury - Llanwern steel.